What Does It Mean to Die Intestate? • The Sketchley Law Firm, P.A. To die “intestate” means a person died without a valid Last Will & Testament, or a will. This commonly occurs when one fails to create a written will. However, a person may die intestate if a court determines her will is invalid. In some rare cases, a will may be valid, but fail to say how all the person’s property should be distributed. In this case, a person dies intestate with regard to the property that was not distributed by the will. A common misconception is that “th e state” inherits all of a person’s property when she dies without a valid will. However, the state only gets a deceased person’s property when she dies without a will and has no family members that could inherit. When the state “inherits” all a deceased person’s property because she has no family, it is called”escheat“. This means the property of the deceased person reverts back to the state. When a person dies without a valid will, state laws require the deceased person’s family members inherit their property. 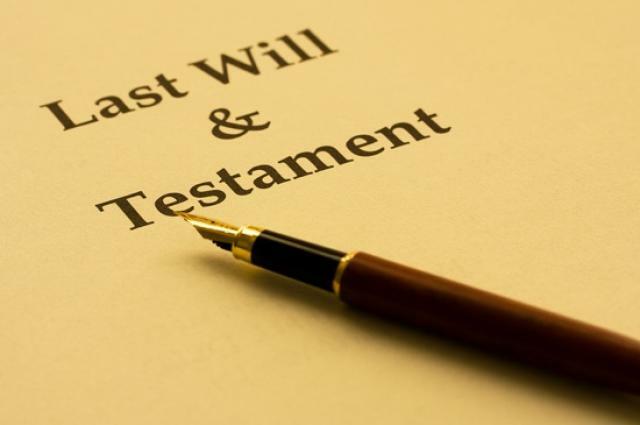 These laws are based on the societal belief that family should inherit a deceased person’s property, unless that person says otherwise in writing. Each state’s laws define family members and how much each class of family members should receive based on the degree of relation to the deceased person. These laws are called intestacy laws. Intestacy laws provide that the deceased person’s spouse and children inherit if there is no valid will, because they are the closest relatives. If the deceased person has no spouse, then her children inherit equally. If she has no spouse or children, then her parents inherit her property. If she has no spouse, children, or living parents, then her siblings inherit. If a deceased person has no consanguineous relatives within a certain degree of relation, then, and only then, does a state’s intestacy laws allow the deceased person’s property to escheat to the state. The easiest way to avoid dying intestate is to create an estate plan with an qualified elder law attorney that includes a valid will that distributes all of your property.